Why Rigvir® Treatment in Latvia Has Come Into the Spotlight Among Cancer Patients? Excessive radio or chemo turned out to be less effective than you expected, but you have no wish to continue due to its side effects? It may be time for virotherapy with Rigvir® injections. But let’s start from scratch. Latvia remains the most popular destination for cross-border patients and oncologists to start practicing and studying virotherapy accordingly because of the following reasons. Reason 1. 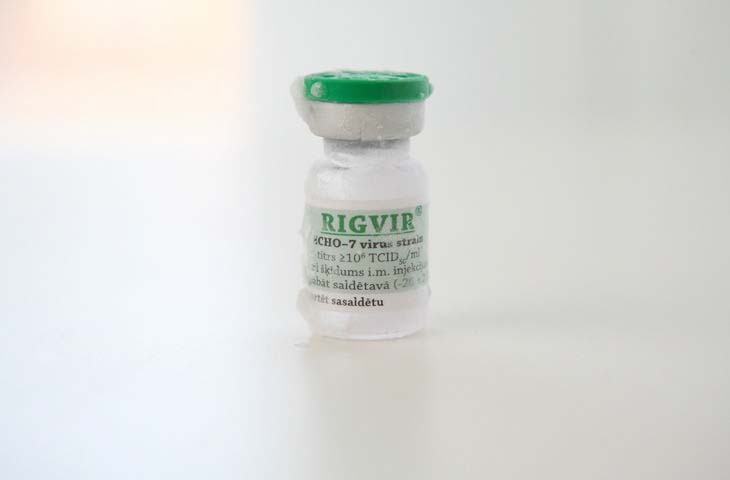 As Rigvir® was initially developed in Latvia, most research and scientific works were conducted there. That’s why the Latvian doctors are skillful and deeply keen on virotherapy. Reason 2. Consequently, Latvia is well-known among the oncologists interested in virotherapy methods rather than only among the patients. Therefore, Latvia provides educational services for cancer specialists from more than twenty countries around the world. Reason 3. Oncologists in Latvia offer inpatient and outpatient treatment packages. The inpatient stay is always recommended in the first place. However, if there's a chance the long-distance flight will negatively influence your condition you can always apply for the outpatient option with Rigvir® being delivered to you. Reason 4. When you qualify for virotherapy at Rigvir® clinic in Latvia, you have to provide a set of medical documents which are to be examined by a professional medical team. The final decisions are often made by the Chief Oncologist of Latvia, so you can rest assured in the expertise your files will be approached with. Before you apply for the qualifying process, please note that Rigvir is only applied in 100% confirmed cancer cases. If your local oncologist has doubts regarding the nature of your diagnosis, it would be smart to do the necessary tests and wait until the results arrive. Step 1. Search for your type of cancer in the left column. Unfortunately, leukemia, lymphoma, and myeloma can’t be treated with Rigvir® as it can be applied on solid tumors only. However, as you see a lot of cancer types are vulnerable to Rigvir® which increases the chances of your approval for virotherapy. Step 2. Start collecting your medical records for your free case evaluation as soon as possible. The thing is, depending on the country you live in, the estimated wait time may vary from several days in the United States to several months in the UK. So it’s always better to make all the arrangements in advance. Blood biochemistry analysis incl. ALT (alanine aminotransferase), creatinine, etc. After you provide the requested files, the patient coordinator will forward you the result of the free case evaluation in 2 to 3 days. If your medical records confirm that you can benefit from Rigvir®, the patient coordinator will immediately give you the detailed explanation of the available options as well. Please note that the length of the evaluation lasts up to 3 days regardless of whether you are looking for Rigvir for pancreatic cancer or melanoma. If for one reason or another you are looking for other locations, check Rigvir in Germany which offers a number of other additional therapies. We understand that you’d like to get as much information as possible about the clinical experience of Rigvir® with regards to your diagnosis. To have the team of oncologists and virotherapists answer your questions, please fill out the form on the right and will get in touch with you not later than in 24 hours. The virus is contained in cooled vials for further injections into the muscle. Once you get an injection, your body gets scanned for malignant cells. When Rigvir® detects them, it then reaches each of them and destroys from the inside. No side effects - the only side effect reported was a slightly increased body temperature (up to 99.5°F/37.5°C) which lasted up to 3 days. Rigvir® can fight both the tumor and metastases. Rigvir® can be applied with other therapies (radio or chemo), or use it alone. Now let’s talk about effectiveness. Normally, cancer survivors aren't willing to share their stories for the reasons of privacy. But when they do, we value every word they say knowing how crucial it is for other patients like to you to listen to their experience. If you would like to know whether your tumor is Rigvir® sensitive, please click the button below and we'll get back to you in 24 hours but normally much sooner.